Why are townhomes and condominiums the perfect choice for homeowners in the Flagstaff area? Both full-time and part-time residents often find that townhomes and condominiums can be the perfect choice when purchasing a home in Flagstaff. Often homeowners would rather enjoy the many activities available in Flagstaff and when you own a townhome or condo, there is minimal maintenance obligations that require valuable time. Townhomes and condominiums are also an affordable way to be a homeowner, while also providing a carefree and maintenance-free lifestyle. Townhomes are also perfect for the part-time resident who visits to escape the heat of lower elevations in the summer, or enjoy the winter snows. 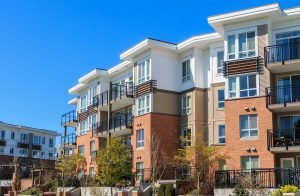 A long-term benefit of owning a townhome or condo in a college town such as Flagstaff is the potential for renting to Northern Arizona University students. Townhomes and condominiums are a very popular choice in Flagstaff.